Subscription Payment: A Technological Blessing or Trap? When we talk about Subscription payments in Nigeria, the first thing that comes to mind is DSTV, GoTV and our Internet bundle plans. While all these are various forms of subscription payment that have existed over the years, we have new forms of subscription payments across different business sectors. Different companies have already adopted the subscription payment method offering their services in form of a subscription where customers select the subscription they are most comfortable with maybe one that’s within their budget and the business is done that way. One of them is electricity subscription payment, which basically means paying your electricity bills online. Subscription payments can also be referred to as recurring payments. 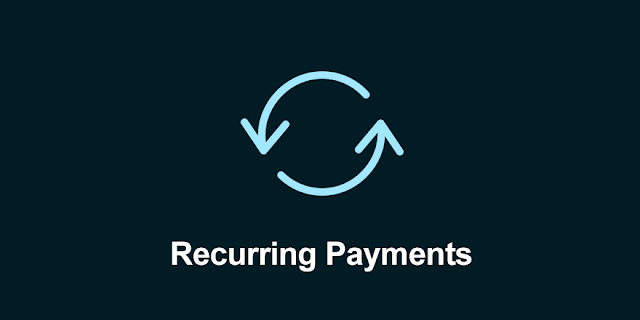 Subscription payment or recurring payment is a system that enables customers to pay and use a service over a period of time which can be daily, weekly, monthly or yearly. This is different from the usual and widely used pay-as-you-go system in which customers just make a one-time payment for a product and that’s it. Example: You buy a laptop or a smartphone, which is a one-time payment for a single product. How does Subscription Payment actually work? So what’s the process around making Subscription payments and how does it actually work? It all begins with the customer-he or she selects the subscription plan or package of his choice. An agreement is then signed and payment is made for the first cycle. Let’s assume the customer opted for a one-month plan, he makes payment for that month and gets access to the service he paid for. This is the first cycle of subscription payment. The next cycle or phase is at the end of the month he paid for until renewal for another - enabling the continued use of that service. Now, the customer doesn’t have to go anywhere or do anything. The merchant or seller automatically charges the customer for the same one-month subscription package selected a month ago extending or renewing his plan. Select plan – Pay – Automatic charge - Pay. Some of us are currently subscribed to one or two plans or packages either consciously or unconsciously because subscription payments are becoming so powerful, they have been integrated into our society making things easier for buyers and sellers. The main benefit of any subscription payment is convenience. Subscription payments help save buyers’ time, money and effort. Breaking this down, let’s take a look at an example of where you don’t use subscription based payments. Example: Your electricity plan expired on a Sunday, you are yet to activate the subscription package what this means is that you have to wait a full day before you get electricity. Once it’s Monday, you set out to your nearest disco office, stand in a queue, waste time and then you finally make payment. All these could have been avoided with a subscription because once your electricity plan expires on a Sunday, your account is automatically charged, renewing your plan and giving you access to electricity and you didn’t have to break a sweat. Trust is a big issue when it comes to subscription payments because you have to trust the merchant you are making an agreement with. When you find a reliable merchant – perhaps through a referral from a friend or by your very own personal research - you will begin to have total faith in that particular merchant which relieves you of any stress or worry because you believe you will get value for your money. 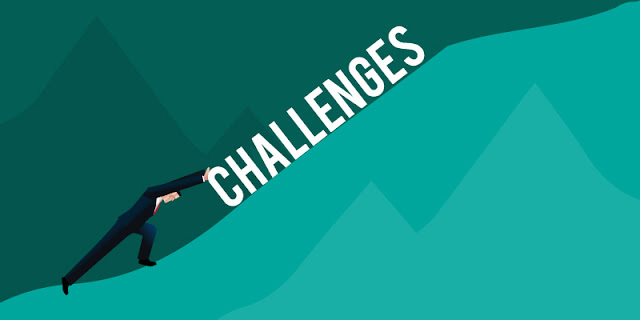 There are a handful of challenges when it comes to subscription payments, why people don’t want to use them, their beliefs and reasons. Some merchant offer promos and discounts that make customers subscribe and make payment to their package but fail to include in the fine print that you will be billed in full. I will strongly advise reading some customer reviews about a seller or merchant to make sure the services they offer are what you want and they are no hidden charges involved. I have experienced this on multiple occasions and what feeling am I talking about? The feeling of receiving a debit alert and you have no idea who, how and why your money was taken from you. My first experience was when I started using Amazon and I was sold to their Amazon Prime idea which got me 2-day free shipping, unlimited movies, books etc, maybe I didn’t read all the terms and conditions but after 25 days a total sum of N25,000 was removed from my account. I was dumbfounded for a few minutes racking my brain –Who withdrew my money? So, I asked around and was told that’s how it worked, they give you free for the month and charge you full the following month. Long story short, I requested a refund and it was resolved. What did I learn from this? Ever since that day, I always read carefully when signing up for a free trial package with terms and conditions. These types of subscription systems depend on the service involved and how customers’ access to those services are managed. This is usually the cheapest or most affordable subscription package, which gives customers or users basic access to services. Give customers “a tip of the iceberg” so they see how useful the services is to them and they can opt in for a more robust package with better features. These are the limited Internet data plans, magazine subscriptions, software providers and many other monthly or yearly subscriptions, which give you a limited amount of data and time to use a particular service. These relate to Internet data plans but also relates to cable TV subscriptions that give you unlimited access to channels or Internet data has long as you have paid for that mount. Finally, let’s end with a simple question. Does Subscription Payment Work for you? Payment platforms in Nigeria: A double - edged sword? Payment platforms in Nigeria are a growing concern for everyone because we are in the cashless era which means an increase in digital purchase for goods and services and a decrease in physical cash payments. Payment platforms in Nigeria have become so powerful with big businesses in Nigeria running and accepting online payments and this payment process needs to be closely examined and managed well enough to ensure money and customers are not slipping through the cracks. So as a business, how do you ensure you don’t lose money and customers? You measure the success rate of your payment platform. A major challenge to the success rate of payment platforms in Nigeria is fear and we are going to dissect fear breaking it down into the 4 big payment platform fear. Nobody wants to be a victim of fraud or get scammed. While using a payment platform, if an illegal party tries to scam you, your payment platform should be able to protect you the buyer and also have a protection policy for the seller - this way, both parties are protected. PayPal does a very good job at this, their security is tight and their buyer and seller protection policy works. People tend to tie online payments to fraud which can be correct in some instances but when it comes to established payment platforms known nationwide and worldwide, fear of fraud should drastically reduce because these established, big and known payment platforms can’t scam you because most of them thrive on customer reviews and feedback and having fraudulent activities run on their platforms is bad for business. There are very few people that would try something new for the first time without some sort of testimonial, review or recommendation from a friend or a trusted source and the reason behind this is they don’t understand your platform, it doesn’t look easy, it doesn’t look friendly and there’s no one to take them through the process. No customer wants to be unsure when making payments because money is involved and any mistake would offset their bank accounts. So when a transaction fails at the final checkout page, not everyone will re-do that transaction because they don’t want to be double charged for a transaction. This point ties in with the trust level in which the payment platform has acquired over the years with their customers. This is a big one because if your card details are stolen from you, your identity is most likely at risk but identity theft is not common in Nigeria. What we have is card theft and attempts to withdraw all your cash from a local ATM. The quickest way around this is to never expose your card on social media, don’t use your cards on untrusted websites and always keep your card safe. When you receive an alert for a transaction you didn’t authorize, make some very quick calls to your account officer requesting your card to be blocked. These are economic issues surrounding payment platforms in Nigeria and how they affect the success rate of payments in Nigeria. Every payment platform has it’s very own refund policy and how that policy affects the overall success rate of their platform is when there are unexplainable delays in customers’ refund and a constant cycle of that delayed refund process. Customers’ reviews and feedback are so powerful in recent times and when you have a handful of customers complaining about delayed refund process or how the system didn’t work, there will be a drop in the usage of said payment platforms. Platforms should have fair refund policies with quick refund payment times and 24/7 support to communicate with the customers assuring them they when and how they would get their refund. These are technical reasons why customers would use your payment platforms or won’t use it. This is the item it takes when an API call is made to the payment gateway and a response is received. The average processing speed is 1.51 seconds. Fast payment platforms usually record high level of sales and give users the easy and smooth feeling when making transactions. This is straightforward because this tells you how many transactions were successful and how many failed. If out of a 100 transactions, 75 were successful that means you have a 75% conversation rate and as a business your conversion rate is very important because it’s the line between receiving money or not receiving money so, increasing your payment conversation rate should be a top priority. There are other reasons why a transaction may fail such as incorrect card information, insufficient funds, invalid billing address, invalid card numbers etc. Every bank has its own banking policy and when it’s changed it has a ripple effect on payment platforms which can lead to more failed transactions. When you notice your payment failed, don’t conclude that the payment platform is bad try another bank, it just might work. Having multiple bank accounts to run your online payments is a good thing and can save you a ton of stress. In Nigeria, we have 3 major cards – VISA, MasterCard and Verve. Each card has its own unique properties and payment platform compatibility, which would determine the overall success rate of payment platforms in Nigeria. Nigerian cards can now be divided into two categories – Naira and Dollar card. Some banks recently changed their online payment policy restricting international online payments on their Naira cards but international online payment is allowed when using their dollar cards. Policy and Financial Institutions: A Boomerang Effect? There are diverse effects of government policies across multiple sectors in Nigeria. This post will take a look at how each sector is affected, how this, in turn, affects other sectors and the overall impact on payment structures in Nigeria. There are levels of this boomerang effect. The Nigerian telecommunications sector was liberated almost 2 decades ago and that served as a catalyst and key contributor to economic growth in Nigeria. This sector generated over $68 billion as at November 2016 from both local & foreign investments and also created over 2.5 million jobs over the last 10 years while having an outstanding impact across sectors and industries. This sector was seen as a high flyer, rapidly growing and contributing to about approximately 10% of Nigeria’s GDP but this changed around June 2016. Experts believe that the growth in this sector has stalled and is at a strategic crossroad for which, there are several factors responsible. 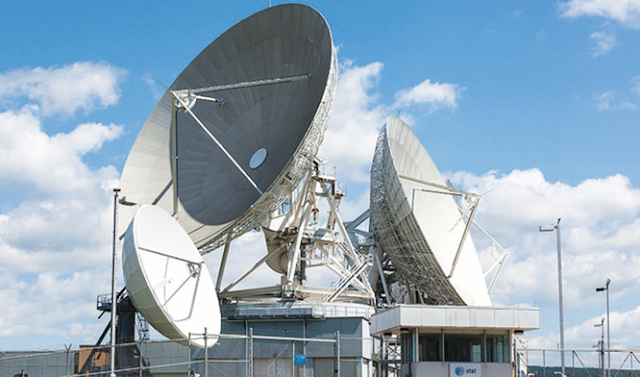 Telecommunication facilities began in Nigeria in 1886 and it was set up by colonial administrators and the sector itself has grown significantly making it a better tool for economic growth. Telecommunications is a vital engine of any growing economy; it is an important infrastructure that promotes the development of other sectors like banking, transportation, agriculture, education, industry, health and tourism. Therefore, there is a need for an efficient, reliable and affordable telecommunications system which serves as a key ingredient to promoting rapid socio-economic and political development of a country and such, systems would have regulations and policies set in place to monitor, check and balance it which brings us to the governmental policies that affect this sector in Nigeria. The general objective of the National Telecommunications Policy in Nigeria is to achieve fast modernization and rapid expansion of services and networks throughout the country, which would increase national income, social development and position Nigeria on the global telecommunications space. Services should be efficient, affordable, reliable, accessible and available to everyone in the country. 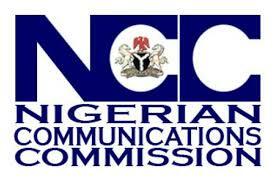 The Nigerian Communications Commission (NCC) was established to monitor and regulate the telecommunication industry in Nigeria. NCC provides tariff regulation rules for operators providing basic and essential services to the public and what this means is that in all cases, tariff prices will be cost-oriented, reflecting the actual cost required by operators to provide the service in question. The much-needed telecom equipment aimed at increasing the overall quality of network and services in Nigeria is important but the weak Naira has affected the purchase of such equipment because most of them are bought in foreign currencies. Have you ever tried importing an item before? It can be a hellish experience because after paying foreign currency to purchase your item, shipping costs can be well over the purchase price which makes things difficult for telecoms to upgrade their towers and networks. Latest data from NCC shows that the industry has witnessed a significant loss of mobile voice subscriptions from 155 million in December 2016 to 139 million currently. This ties directly into updating the Nigerian Communication Act 2003 to reflect the importance of data over voice. Data-centric activities have increased exponentially with the introduction of WhatsApp voice and voice calls, Skype, Facebook calls have made customers move away from legacy voice services to over the top services like WhatsApp calls. We have 9 categories of financial institutions in Nigeria and these financial institutions are regulated by Central Bank of Nigeria (CBN) which creates policies that influence how they do business. Cash payment systems dominated all transactions in Nigeria before 2010 - 2012. Nigeria operated in a cash-heavy environment and the Central Bank of Nigeria (CBN) introduced the cashless policy in 2012 with the objective of promoting electronic online payments instead of manual cash payments. The aim is to provide a payment system that is secure, convenient and affordable. The Central bank of Nigeria initiated a payment system vision 2020 back in 2009 and this policy influences financial institutions to create options for e -payment transactions giving rise to online banking, mobile banking and online payments in Nigeria. This policy also gives rise to the development of debit cards that facilitates online payments in Nigeria. Do you feel this a boomerang effect? Share your thoughts, opinions and comments below. Welcome to card 101, where you are going to learn why credit and debit cards are so important. This will be 360 degrees, an A-Z kind of article where we cover all the aspects of both the credit and debit card starting from the very beginning. A credit or debit card is known as a payment card which as the name suggests allows you to pay for a transaction without having physical cash with you. So a payment card takes money from your bank account which ends up in the seller’s bank account. These two cards are essentially the most used online payment methods because they are so flexible to work with. Payments cards such as debit and credit cards can be integrated to so many payment gateways, payment aggregators, payment processors and used to pay and receive money online. They are just so versatile and useful for buyers, sellers and payment companies. Everyone benefits from payment cards. Debit cards are payment card that draws money directly from your bank account either a current or savings account when you make a payment. The money charged needs to be present in your bank account before the transaction can go through. Once a transaction goes through, the exact money is removed from the buyer’s account and held by his bank then after approval, payment is sent to the seller or merchant. Always remember that with a debit card, you can’t spend more than the amount you already have in your bank account which can be both a good and bad thing. It’s a good thing because it saves you from going on a reckless shopping spree and it’s bad because it limits your spending. Example: Let’s say you have N300,000 in your bank account either current or savings and you want to purchase the latest iPhone X which is N350,000 – N400,000. If you are using a debit card, you automatically can’t buy it because you don’t have that kind of money in your bank account. Controlled spending: This is good for people with credit card debt or impulsive buyers who lack any shred of discipline. Using a debit card would force you to only buy what you can afford which is a good thing and to someone else can be a bad thing. Strict purchase rule: If you have the money in the bank, you can buy it. If you don’t, the transaction won’t go through. Credit cards are a shopper’s delight and go-to payment card because it basically allows you buy stuff, makes purchases on credit which means you don’t need to have the money in your bank account right away for the transaction to good through. A credit card is a card that allows you borrow money in small amounts when making payment at local merchant’s store or business. After you borrow the said amount of money using your credit card, the credit card company charges you an interest on your purchase. There is a grace period of 30 days before the interest is implemented so all you have to do is pay off that payment and no interest charge would come your way. When you get your first credit card, a line of credit is opened for you and this line of credit is what enables you to borrow money but you would need to keep your credit score above average so the amount you can borrow increases but keep in mind that your credit card balance and payment history can affect your credit score. Example: You want to buy a Samsung Galaxy S9 and you don’t have enough money in your bank account. You have 75% of the total purchase price and since you use a credit card with a good line of credit (credit card score), you will be able to purchase the Samsung Galaxy S9. Make sure you pay off the 25% you borrowed so you don’t get charged interest. Some people feel giving people credit card is like giving them loaded guns or a blank cheque. Spend and spend and worry about the cost later can be a good thing but it can also be very misused leading to credit debt, school loans debt, bankruptcy etc. You have access to loans which relies on your credit history so you need to build your credit history and how you do that is by making small reasonable purchases and paying them off in time so interest isn’t charged. As a credit card user, you are entitled to more rewards like cash back, airline miles, discounts, rebates, gift cards and many others. These rewards are designed to get people hooked on using their credit card instead of a debit card because they won’t want to miss out on the rewards they could get on a given purchase. A credit card has fraud/theft protection: In a case where your credit is stolen or lost, you are only responsible for the first $50 unauthorized transactions. You can be in a lot of debt before you know it. It’s called credit card debt and a lot of people are in this trap. They got their credit card, went on a shopping spree filled with impulsive buying, they forgot to pay for their purchase so interest is charged on those purchases increasing their debt, the same thing happens over and over again which finally racks them thousands of dollars of debt to pay for their lifetime. 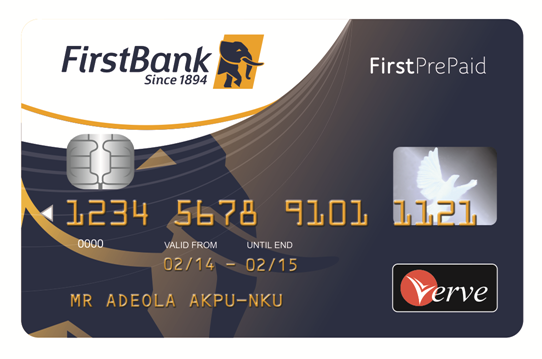 We currently have 3 major payment cards in Nigeria: Verve card, Mastercard and VISA card. In Nigeria, there is a widespread use of debit cards and some Nigerians still don’t have any idea that credit cards exist, the power it holds and also the dangers that follow if used poorly. 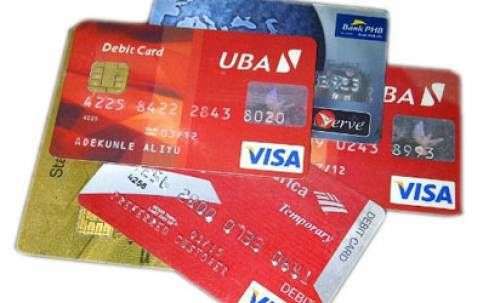 Let’s talk about the different cards in Nigeria, their use, advantages and disadvantages and finally recommend the best payment cards for you to use. The verve card was specifically made for Nigerians and the Nigerian market which means it’s only accepted in Nigeria. This card is the lowest value of payment cards which allows you conveniently pay for goods and services within Nigeria using ATMs, POS, Mobile payment methods. You can also pay utility bills like your PHCN bills using a verve card and also perform some more functions like buying of airtimes, fund transfer and so on. You can’t use a verve card for international transaction online like sending or receiving money either as a buyer or seller. Service charge fees can be as high as N100 per transaction. The MasterCard came into existence in 1966, it was first called the Master Charge: The Interbank Card but the name was changed in 1979. You can get a MasterCard in Nigeria from the bank that you use and I would recommend this card because it’s accepted worldwide and we all need to have an international and local state of mind where we are above all restrictions. A MasterCard can be used for transactions in Nigeria using ATMs, POS machines, fund transfer, online shopping, airtime top-up, payment of PHCN bills and so on. It can also be used on international websites like eBay, Amazon, Alibaba, AliExpress, BestBuy and so on, all giving you access to the international market. A Nigerian MasterCard is also accepted by worldwide payment methods like PayPal, Authorize.net etc which provides more business opportunities for Nigerians. This card works for the tech-savvy or internet shopper best. To obtain a MasterCard, It cost more than a verve card. The VISA card was originally called BankAmericard from Fresno in California 1958 but got rebranded to VISA in 1976. A VISA card is similar to a MasterCard because they perform similar functions such as Nigerian transactions using ATMs, POS machines, fund transfer, online shopping, airtime top-up, payment of PHCN bills and so on. It can also be used on international websites like Bluehost, eBay, Amazon, Alibaba, Aliexpress, BestBuy and so on, all giving you access to the international market. 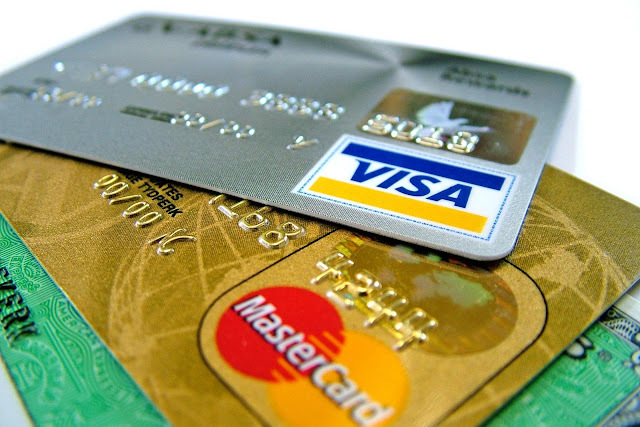 A Nigerian VISA card can also be used PayPal and other international payment methods. Get both VISA and MasterCard from different banks so you pay for Nigerian based transactions while opening yourself to international opportunities. In some international websites, VISA works better while in some MasterCard works but its’ all dependent on your bank that’s why I recommend getting both a VISA and MasterCard from different banks so you can easily bypass bank policies and restrictions and fully enjoy a truly digitalized online transaction. Online payment methods in Nigeria are growing exponentially and with so many new ones, there is a need to identify the most popular widely used online payment methods in Nigeria. These popular online payment methods in Nigeria would explain the most used means of online payment which are card payments either credit or debit cards. In every transaction, there are usually two sides – the buyer and the seller. So in identifying the most popular online payment method in Nigeria there would be a need to know the most popular and used amongst sellers and buyers alike. Some online payment methods have more seller based incentives while some are buyer oriented and what this means is that when using this payment method buyers and sellers get some benefits from it. Let’s take a look at some statistics which would easily show us the number of transactions made and value of these online payment methods in Nigeria. Nigeria’s internet population has been on a steady rise from 2014 and for 2017 we add an estimate of 76.2 million internet users and it has been projected that in 2018 there would be an increase of internet users in Nigeria to 84.3 and also going forward to 2019 it can rise up to 93 million internet users in Nigeria. There is also a rising number of active smartphones users in Nigeria from 2014 – 2019 with the projected number of estimated smartphone users in 2019 to be 23.3 million. 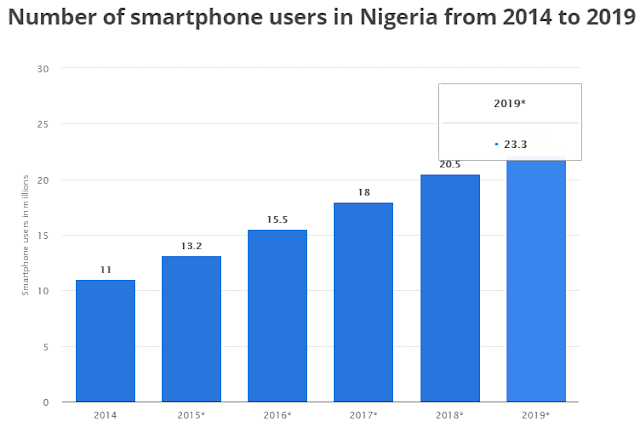 In 2017, a total of 18 million smartphone users were recorded in 2017 with a projected increase in 2018 of about 20.5 million users. These are Payment Systems Statistics from Central Bank of Nigeria website where you can generate LIVE statistics from different sectors and Nigeria and get real-time updated data straight from the Central Bank of Nigeria (CBN) website. These are web-based transactions or payments made through the internet without both buyer and seller physically presence. What this means is that both the buyer and seller need to have access to the internet first and be connected to the same online payment method. This type of transactions can also be called online payments and the method widely used for online payment is debit or credit cards. In the 1st quarter of 2017, the total Value of 46 Billion Naira Internet (web) Transactions and a total Number of Internet (web) Transactions was 5,520,058.00 was seen during January – March 2017. During the 2nd quarter of 2017, the total Value of 37 Billion Naira Internet (web) Transactions and a total Number of Internet (web) Transactions was 5,965,106.00 was seen during April – June 2017. 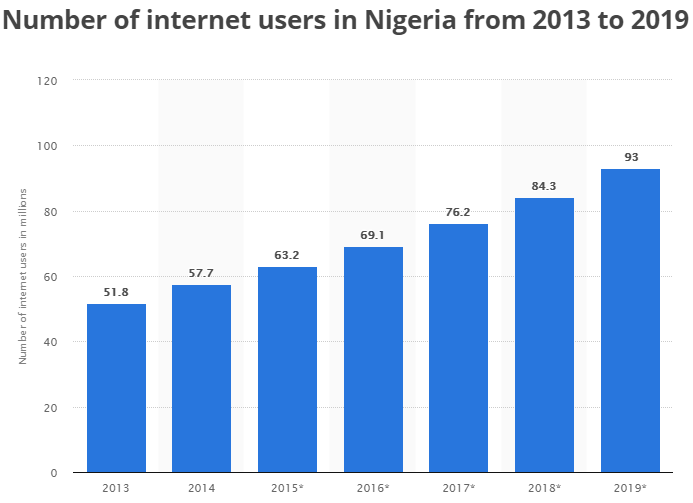 There was growth in the number of internet transactions made around the 3rd quarter of 2017 with 2,058,835 internets (web) transactions were carried out valuing N514 billion, Source (Tribune Online). These are also online payment transactions involving payment of utility bills electronically possibly over the internet. The payment of utility bills online is somewhat still a new phenomenon to some Nigerians because of maybe lack of internet or exposure or simple fear. 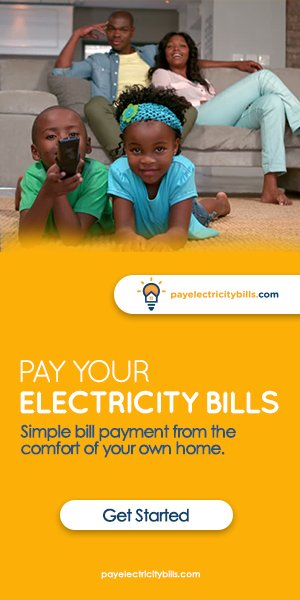 Paying your utility bills online can help you greatly because it creates room for convenience where you don’t have to take time from your busy productive life to go somewhere, queue up for hours just a pay your light bill? All can be paid from your comfort zone and you can pay anytime. A total of 289,165 e-bills payment transactions were recorded during the 1st quarter of 2017 which is valued at 159 billion Naira. The second quarter of 2017 shows us a total of 235,823 transactions valued at 133 billion Naira. 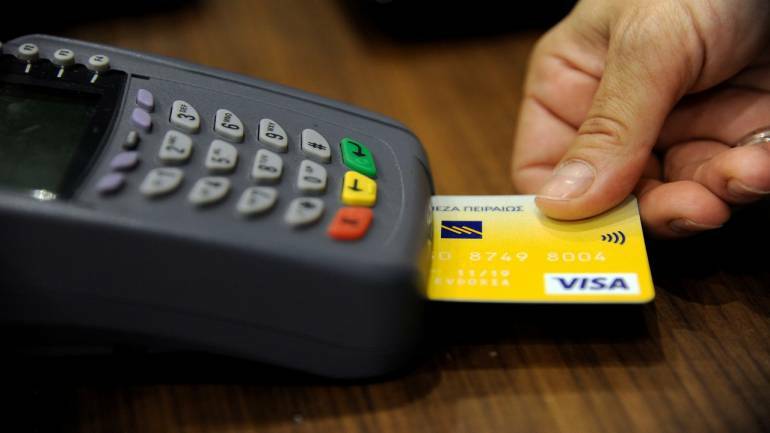 This can still be related to online payment transactions because buyers can make purchases using their mobile phones through shopping websites, Mobile apps in-app purchase, e-wallet, app store purchases and other payments made through smartphones or mobile phones would still end up using either a debit card or credit card to finalize the purchase. These are the bank transfers, bank transaction codes for instant bank transfer of money between same banks and different banks. This relates to online payment because this facilitates the easy transfer of funds from one bank account to another bank account. Bank transfers can now be done using our bank apps, which allow us to check our balance, transfer money to any bank using both the mobile app and Internet to do so. Some transactions now in Nigeria are done through bank transfer because when cash is becoming obsolete and POS machines are not working properly, using your phone to transfer money to the seller is still the best and surest way because you have the money and means of payment which makes this a direct transaction because both buyer and seller don’t need any payment gateway before transaction can be done. They are issued by your banks which gives you a sense of security so you can trust that your online payments would go through and if any issues arise you can easily contact your bank and get the issue resolved. A large number of Nigerians have an ATM card, not all these ATM cards have been activated for online transactions but all of them are debit cards. Cards are linked to your personal or business account so you know immediately if the transaction would work or because you clearly know how much the item or product cost and you know you have exactly that amount or something bigger in your bank account. Cards provide a seamless synergy between your money – bank – sellers. Card payments can easily be tracked between they leave digital footprints with you and your bank which can be used to verify transactional payments and prevent fraud or scam. Receipts can be generated which can be used online or printed and viewed offline. Cards can easily be used for online payment because the card itself contains all the details you need starting from the card number, expiry date, name on card and CVV which is at the back of the card. Some online payments involving card payments are most times one-time setups which would require you put in all the card details once and that’s all. For further transactions, your card is already saved and can be used instantly and you would be required to put in your CVV number. A good example is PayPal. Cards can also double for ATM cards which can help you do some transactions offline through use of ATM machines or mobile app bank transfer. 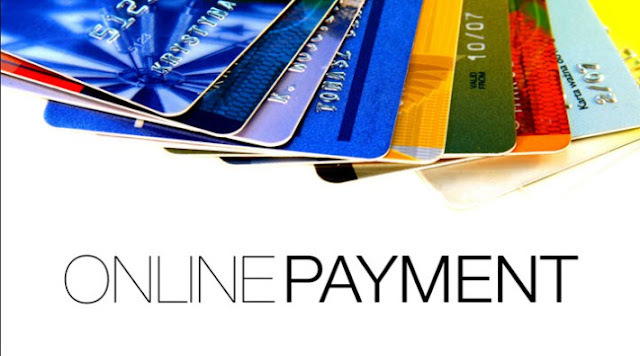 Online Payment Methods can mean different things to the buyer as well as the seller. Incentives can be used differently to attract new or old customers. It’s an easy and secure way of making payments using their MasterCard, VISA or Verve card. Buyers can conveniently pay for goods and services from anywhere at any time using online payment methods, they are not restricted by opening and closing hours. Buyers can now make instant payment for goods and services. Buyer’s interests are secured and in case anything goes wrong a full refund will be issued to the buyer. An easy and cost-effective way of making payments because as a buyer when making an online purchase you don’t need to physically present before you buy which saves you cost of transportation, time and effort. Sellers can integrate free payment gateway integration platforms on their websites or e-commerce store which would help them receive funds from buyers in exchange for their goods and service. He or she can sell his goods and services safely without fear of scam because every transaction is automatically documented which doesn’t create room for lies and deceit. When using a free online payment gateway, the seller only pays a little commission per transaction when using a free online payment gateway which is good for small stores who don’t have the money to buy an online payment gateway license yet. Sellers don’t need to be online 24/7 before he can receive funds. He gets the best security which would prevent his site from getting hacked and personal credit card information about his client from getting leaked. Sellers gets more sales because as online payment spreads like wildfire so would their number of sales also increase plus it adds an extra line of income because they can do a combination of cash payments, POS transactions and still accept online payments. Low labour cost: As an e-commerce store owner you won’t need to hire someone to stay in your shop 24/7 all you need is to hire a logistic person that would help you deliver your products or you can make deliveries yourself. Payment gateways are the means with which a seller exchanges his product for immediate payment. These payments are done through the internet with no physical interaction. This also removes the need for hand-to-hand cash-based transactions. 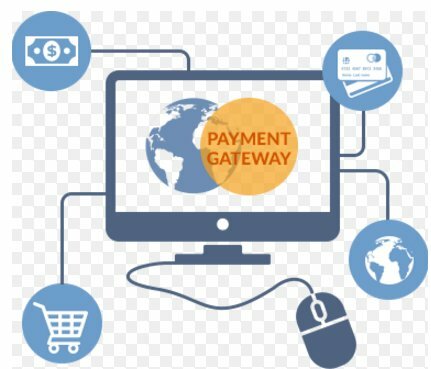 Payment gateways in Nigeria are the applications that enable an online store or website request payment for goods and services from customers. 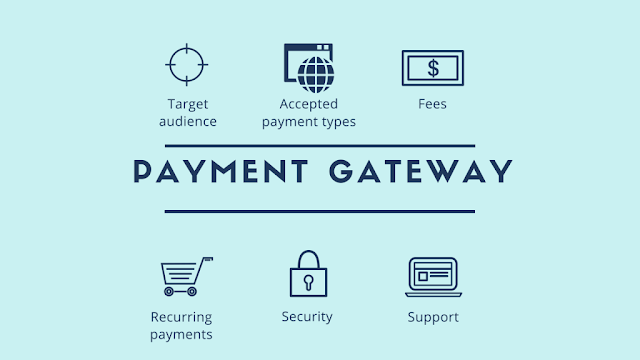 Payment gateways authorize the transfer of funds between a buyer and seller. The payment gateway process begins when the buyer clicks on ORDER or BUY and it continues until payment is made and the transaction is finalized with receipt generated. 1. Buyer clicks on ORDER NOW or BUY NOW. Card holder’s name which means the name that appears on the card. 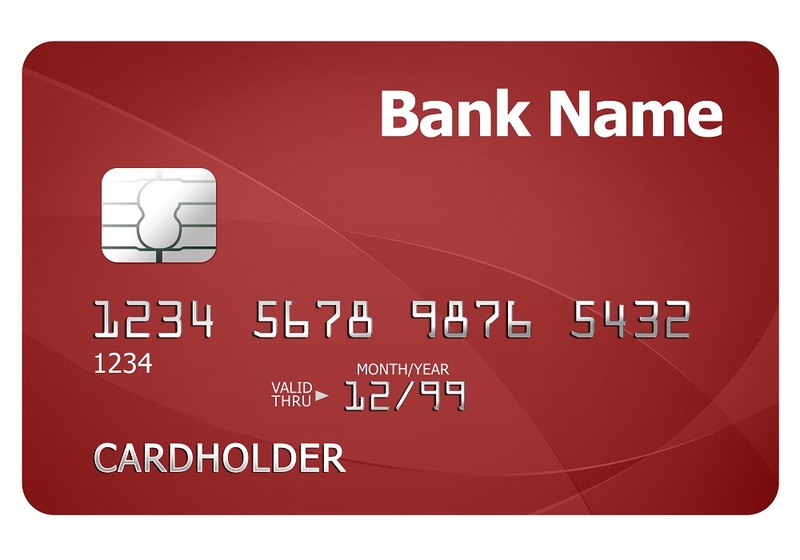 Card’s CVV number: This can be found at the back of your card, it consists of 3 digits which act as your online PIN. These numbers should always be kept hidden. The billing address is the same address you submitted to your bank when creating your bank account, so make sure it corresponds to your bank account’s address. Shipping address: That’s if a physical item is involved in the transaction. 4. Payment gateway sends all the above information to be processed and verified by the card association to ensure you are the one making the purchase and it also verifies that the payment method has the required fund for the transaction. 5. The credit card issuing bank approves the request if everything is correct and verified, if you made a simple mistake like put in the wrong card expiry date, the transaction won’t go through. 6. After approving the transaction, most payment gateways will generate a receipt showing details of the transaction. This process is mostly used across online shopping sites in Nigeria like Jumia Global Payment Gateway which requires you pay first for the product before they buy and ship it to you in Nigeria and also internationally with big sites like Amazon using this payment gateway process which involves card payments. There are two types of payment gateways, hosted and non-hosted payment gateway. This type of payment gateway redirects customers from your site to the payment page which is different from your website. With this type of payment gateway, whenever a customer clicks on PAY NOW or BUY NOW he/she will be taken away from your website and sent to the payment page which is hosted on the payment service provider. Once the buyer gets to the payment page, he fills the form i.e. puts in card details such as credit card number, expiry date, card name and CVV number at the back of the card. After payment is done, the customer will receive a transaction successful message and will be redirected back to the online store or shopping site to finish the process. This can be seen as a two-way stream with payment gateways and website at opposite ends and how information flows from one to another and vice versa. Commissions are paid to the payment services whenever a buyer makes a transaction. Customer’s information is secured because there is a double layer of security. Payment pages can be customized to add seller’s logo for more authenticity and customer reassurance. The seller doesn’t have total control over the checkout or payment process. Examples are PayPal standard, Payza. An integrated payment gateway allows credit or debit card payment processing directly on your website without redirecting customers to another website or a 3rd party payment website. These gateways give the seller total control over everything right from the product showcase to checkout and payment page. Everything is done on the website, no redirection happens when you use a non-hosted payment gateway. 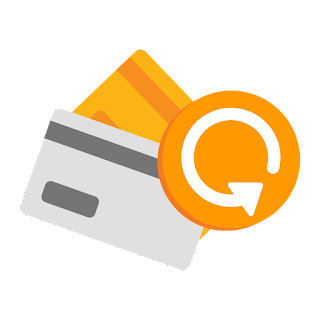 Credit or debit card details are entered directly into the checkout page of your site and payment is processed through APIs without the need of taking customers to another website. The transaction happens in real time and works seamlessly but the website owner would need to connect his e-commerce store to a gateway’s API. Seller has complete control over his site and checkout page. There’s flexibility. The website owner can choose how his checkout page UI would look like. Maximum Shopper Experience: When customers can complete all their transactions without leaving your site, they feel an extra level of security and confidence on your website. Time-consuming and difficult to set up. Security is handled by the website owner so if the site owner doesn’t use the standard security measures, private sensitive customer information may be leaked from the site. Additional purchase of an SSL license is needed to add an extra layer of security which helps boosts the overall security of the website. There are so many payment gateways used to facilitate online transactions between the buyers and sellers. There are international payment gateways and we also have payment gateways in Nigeria. A combination of both international and local payment gateways are going to be mentioned below. These payment gateways are not listed in any order of importance. PayPal is an international payment gateway with one of the best security in the world that started in 1999. Using PayPal always provides a sense of safety because I have the confidence that I can always get my money back even in sketchy situations. PayPal is free to use for buyers, sellers, store owners, online shop owners can set up PayPal on their website with no integration or payment gateway fee. PayPal only collects a commission of 3.4% on every finalized transaction. They accept credit and debit card payments and in Nigeria PayPal is also available to us. Using PayPal in Nigeria works well for buyers and not for sellers because when you create a Nigerian PayPal account, you can’t receive money which doesn’t work for Nigerian sellers, Nigerian store owners that want to use the PayPal payment gateway. So PayPal is essentially used to pay for goods and services on international sites that decline the Nigerian debit or credit card. If they accept PayPal as one of their payment methods, you can easily link your Nigerian card to your PayPal account and pay using PayPal. This works on sites like ebay.com. 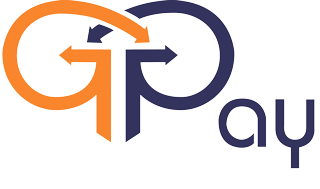 GPay is a utility payment gateway that deals in instant payment solutions with major roots in easy online payment for electricity bills, water and other utilities. They provide world class business solutions such as collections and revenue optimization platforms and data analytics which would take your business to the next level. Interswitch started running around 2002 as a transaction switching and electronic payment processing company that builds and manages payment infrastructure and now they are African-focused integrated digital payments and e-commerce company that enables the electronic circulation of money as well as the exchange of values between buyer and seller. In Nigeria, Quickteller can be seen as one of the biggest payment gateways which are widely used across multiple online shops and the country as a whole. They deal with credit or debit card payment which is linked to your bank account to enable you to buy goods online from online stores and as a seller, once you achieve their payment gateway license you can start receiving money for your goods and service with the money going straight to your bank account. They started operations in 2003 as payment solution platform and easy payment channel and now they are in over 5 countries: Nigeria, Ghana, U.K, Kenya, Zimbabwe and Cote d 'Ivoire. ETranzact has partnerships with up to 70 different Nigerian Universities, Government parastatals, Banks, Aviation sector also. 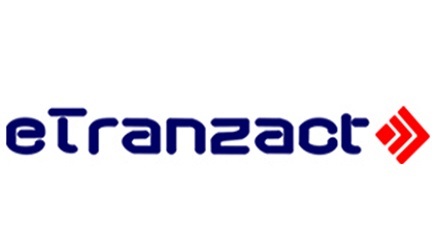 Etranzact is a multi-application, multi-network and multi-channel electronic payment gateway with the ability to credit multiple accounts simultaneously online in real-time. They majorly deal in payment portals, accepts both international and local credit or debit cards and very useful to merchants. GTPay is a product of GTBank. GTPay has a unique feature where merchants or sellers get their money within 24 hours. This feature alone got a lot of merchants and sellers using their secured internet payment gateway which is known for instant transactions. They accept credit or debit cards payment including internationally and local cards. They also have a useful monitoring log which is good for merchants because they get to track all the transactions done daily, weekly, monthly and even yearly.